2019 Set to be Biggest Year Yet on PWA World Tour With 14 Events & Prize Fund in the Region of €1,000,000! 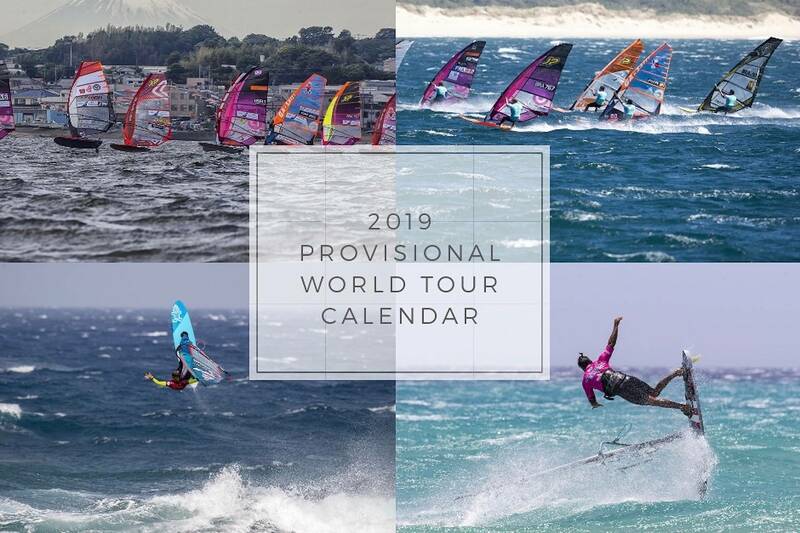 2019 looks set to be a bright, prosperous and exciting year on the PWA World Tour with 14 events currently in the pipeline, spanning 4 continents, across 4 disciplines (Wave, Freestyle, Slalom, Foil) - while further additions remain possible in Morocco, Turkey and China. With 2019 predicted to be the biggest year yet that the PWA World Tour has seen, the world’s best windsurfers will be battling it out for a total prize purse expected to break the €1,000,000 mark. The competition season will be kicked off in style - freestyle - as the contortionists of the windsurfing world take the honour of raising the curtains on the 2019 PWA World Tour, on the pristine beaches of Lac Bay, Bonaire, which has produced some of the biggest freestyle names on the planet. It will be the first time back to the Dutch Antilles since 2014 and an event not to be missed. Bonaire is not the only event set to return to the tour after absence, and we are delighted to be able to announce that the hugely popular Klitmøller Cold Hawaii Wave, and Hvide Sande Slalom World Cups will be back on the itinerary for September 2019. The big news of the wave season is that the Aloha Classic is also expected to return to the PWA Calendar, in conjunction with the International Windsurfing Tour (IWT), to round off an enhanced wave tour. We look forward to bringing you more world class windsurfing than ever, from all corners of the globe, during an exciting 2019 season.